The Kershaw's Launch 2 now with a partially serrated blade. 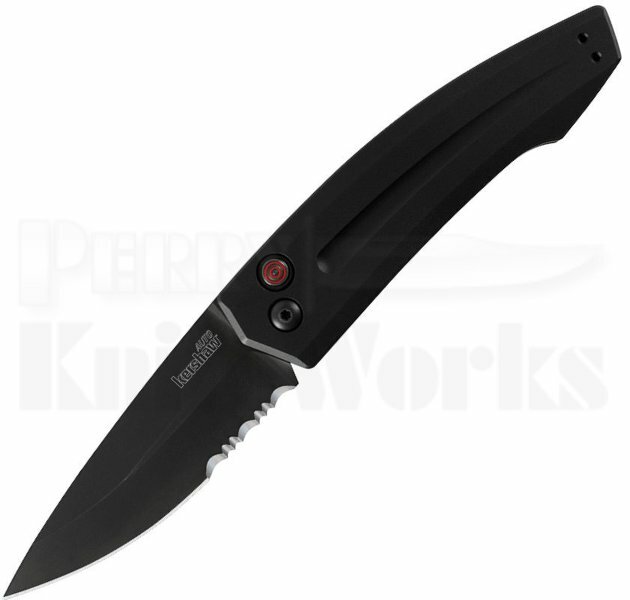 This automatic knife features CPM154 blade steel, a strong opening kick, and is made in the USA at Kershaw?s Tualatin, Oregon facility. To lighten the Launch 2's weight, the handles are durable anodized aluminum and are contoured to fit snugly in the hand. A reversible pocketclip is included.